1. Stud Circle: the wheel stud circle. Easy info to find; same as your wheel. Shown here a Mustang 5 on 4.50"
2. Wheel studs: The diameter and thread pitch. 3. Stud knurl Diameter: Determines the size of the required hole in the hat. 4. Caliper mount center: Distance center to center of the mounting holes/bolts. *Measure from top of one hole... to the top of the other to get a clear spec rather than by eye as shown. 5. Mount bolt size: How large the bolts are mounting the caliper to the knuckle. 6. Mount hole base circle: The daimeter to which the bracket will sit. 7. Knuckle ear thickness: needed to spec the required bolt length. 8. Mount Offset: Hub face to mount surface. 9. Hub Diameter: Necessary to determine the inside hat clearance. 10. Register Diameter: the register ID of the hat when in place. Must be clean. 11. Mount Radius: The center of the hub to the center of the mount holes. Difficult to measure without proper tools. 12. 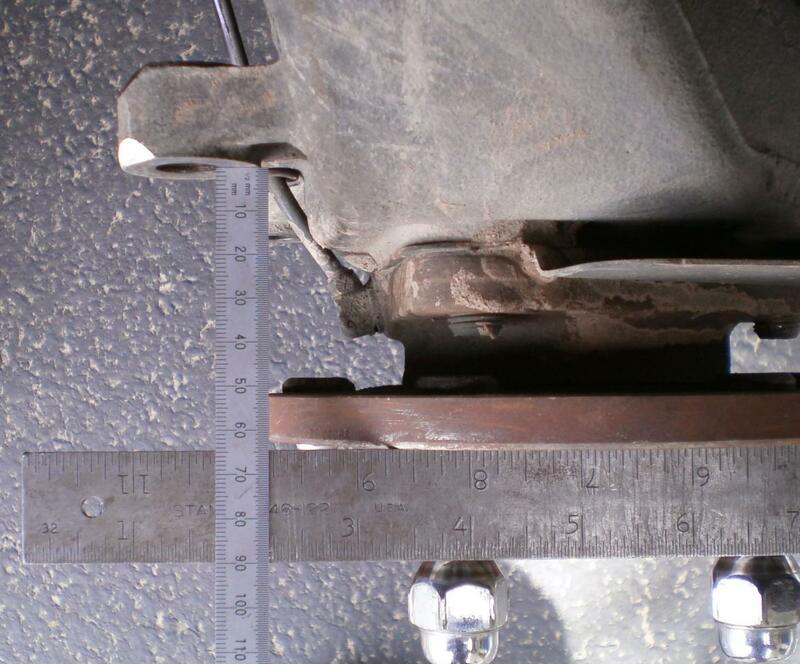 Bracket Clearance: When fit the bracket must not interfere with the casting. 1. Diameter: The outside circle. 2. 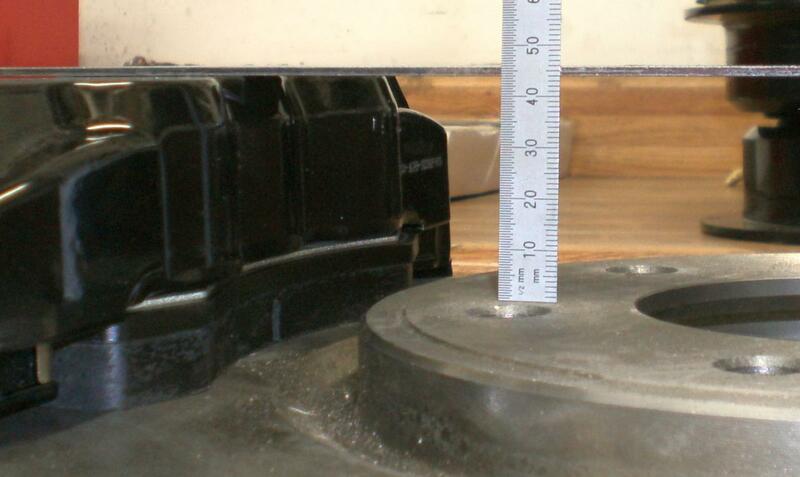 Width: How wide is the actual rotors friction portion. 3. Eye: The far size opening. 4. Center Bore: The center for hub registration puroses. 5. Radial Height: The "heigh" of the pad wear surface. 6. Hat Diameter: The diameter of the center of a one piece rotor. 7. Total Height: The oveall thickness or height of the entire part. 9. Hat Offset: Like a two piece hat/rotor the offset is the TOTAL HEIGHT - ROTOR WIDTH- FACE. 10. Rotor Cheek or Wall: How thic the friction surface is on one side of the air gap. 11. Air Gap: The width of the vent section of the rotor. 12. "Above the Deck": Calper clearance needed to the spokes of the wheel.